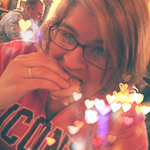 Dessert is, quite obviously, my most favorite meal of all, much to my waistline’s dismay. Luckily, there are alternatives. Followers on Twitter have long heard me wax poetic of the virtues of Pinnacle Whipped, a whipped cream-flavored vodka that has become a regular in my house. It is extremely affordable, at around $13 for the 750mL bottle and $20 for the 1.75L bottle, yet it tastes like it has a more royal pedigree. Smooth enough to drink alone–super cold or on the rocks–it also is willing to play the supporting role to other beverages. The Big Guy is a huge fan of Pinnacle Whipped with orange soda. I’ve found it to be a fantastic addition to hot chocolate, cranberry juice, root beer, cola, …. it’s all good. 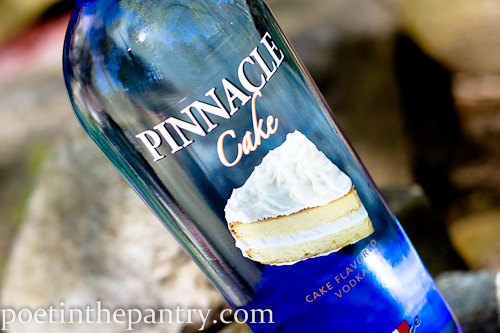 I was lucky enough to obtain a bottle of Pinnacle Cake before its nation-wide release date. Eager to partake, I immediately mixed Pinnacle’s Coconut Cake recipe, as this one caught my eye when they posted their teasers on Facebook. 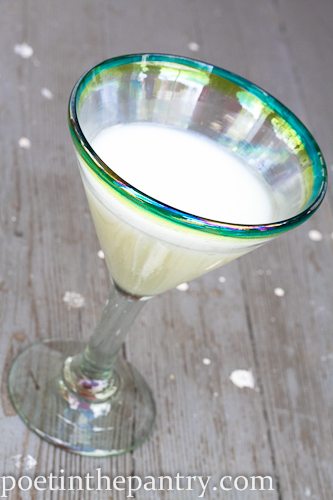 2 oz Pinnacle Cake, 2 oz milk, and a splash of Coconut Jack coconut rum, shaken with ice and strained into a martini glass. Oh, yeah. This could be my new favorite cocktail. Except, it wasn’t what I was expecting. I love coconut, and I love cake, so it should have been a perfect combo. But it wasn’t. There were harsh and alcohol-y undertones, not at all like the easy-to-drink Pinnacle Whipped, that detracted from my enjoyment of this libation. Not to be discouraged, I tried again. I reasoned that maybe the Coconut Jack was to blame, as it was my first time sampling that as well, and was hopeful that the next attempt would turn out better. I threw together 1 oz Pinnacle Cake, 1 oz Pinnacle Whipped, and 2 oz milk, shaken over ice and strained. This was a vast improvement, but there was still a bit of a harshness (though it did mellow the longer it sat). It is a spirit, after all, and not a wine cooler, so this tends to come with the territory–though the Whipped seemed to go down easier. Regardless, this combination works well together, and smells like angel food cake; so inviting, sweet, and vanilla-y–the aroma is, forgive me, intoxicating, in a very good way. I couldn’t resist raising the glass over and over again to take whiffs of the delicious scent. This one could become the next big trend to follow–The Cake with Whipped Cream. The Angel Food Cake. Yeah, that’s it. The guys will queue up for this one, replacing the Dude’s Caucasians with this newcomer. We’ll just need pictures of a hot woman sipping it slowly on an equally hot beach, condensation dripping down the sides of her glass as she works up beads of sweat, and we’ll have them. I’ll get right on that. Continuing on, I decided the next experiment would be a variation of Pinnacle’s Red Velvet Cake, mixing 1 oz Pinnacle Cake, 1 oz Crème de Cacao (the clear kind), and a splash of grenadine, shaken over ice, then served in a shot glass. 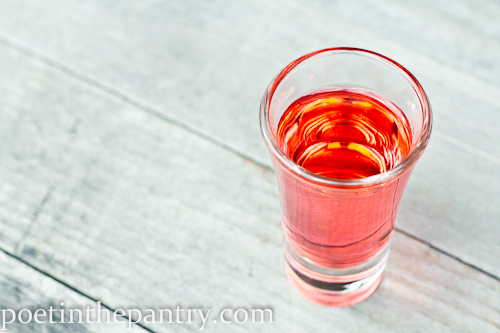 This translucent red shot would even make a really good cocktail–or is that a martini? In any case, you don’t need to toss it back quickly because it’s really quite yummy and, importantly, it doesn’t burn. This is one that you could forget how many you’ve had rather easily. The true test was subbing the Cake for Whipped in our oft-enjoyed creamsicle concoction. I clinked some ice in a glass, poured a couple ounces of Pinnacle Cake over the ice, then topped off with orange soda. And I have to say, this is an immense improvement over our usual. 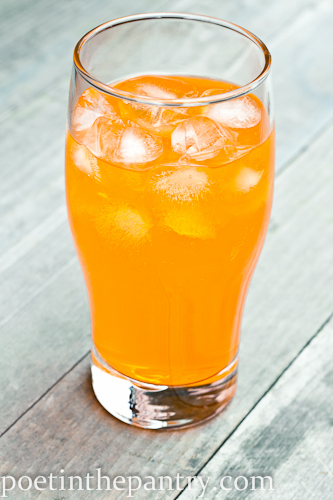 It transformed the orange soda into an almost orange cream soda, without any hint of an alcoholic sting at all. Smooth, sweet, and sensational! This was the winner of the day’s tastings! So what’s the verdict? Pinnacle Cake is definitely a different bird than their Whipped variety. Even though they are identical in proof and alcohol percentages, the Cake has more of a noticeable harshness to it, if not mixed with a strong companion–even just in the aroma from the bottle. If you’re throwing back shots, that’s not as much of an issue, but it will become apparent if you’re looking for a sunny-day sipper on the deck. Still, this is easily worked around and with the right combination, it is quite tasty. I can see a place for both in our house, with some inter-changeability, but Cake has its unique uses as well. I look forward to mixing with it more. Please note: I am 33 years of age and well within the limits of local laws to drink alcoholic beverages. I do not recommend, nor condone, the use of alcohol by anyone under the local legal drinking age. As always, please drink responsibly. Disclosure: The views and opinions expressed on this blog are mine alone, based upon my personal experience. 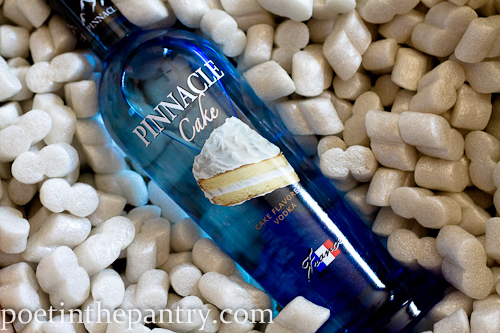 While I received a complimentary bottle of Pinnacle Cake-Flavored Vodka from White Rock Distilleries in Lewiston, ME, which was used to write this post, I received no monetary compensation, nor a request, for my review. Neither Pinnacle Vodka nor White Rock Distilleries endorse this blog post. I was just talking about this vodka with a friend. Sounds like I should skip the cake and just go for the whipped cream! I still prefer Whipped to Cake, but the two of them together is a tasty combo. I’m going to try Cake in some jello shots next, I think, and see how that goes… I’m not done with it yet! So, did you try the cake in jello shots? If so, what flavor of jello and how did it turn out? This is a dream come true. How many weight watcher’s points (just kidding—maybe). Thanxx for trying it out and a great review too! I just bought a btl of both vodkas,but mostly to see if I can come up with a birthday cake shot..like the birthday cake icecream flavor….adding milk seems to be the way to go but do you have any ideas of what else would work better?? Can’t wait to try the cake flavor. Have you tried the cotton candy yet? It too is smooth enough to drink plain over ice and GREAT as a mixer! That sounds REALLY good! Will definitely have to try that. Thanks! wait till you try the new Pinnacle Gummy…it tastes just like those red candy fish (dont wanna have copyright infringement ) ill tell you right now it smells tastes just like them its delicious! 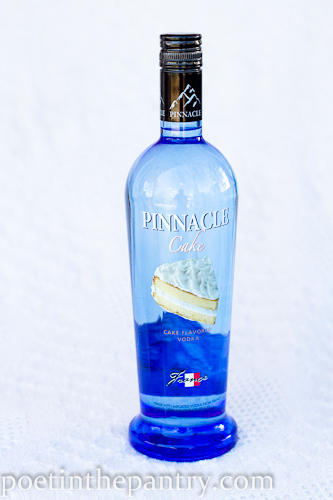 The UV brand cake flavored vodka is much better… try some.. I like it with sprite on the rocks. WHOA!!!!! I need some of this stuff, STAT! That sounds delicious! Thanks for the tip! And just a splash of grenadine. I want to know if they are sold in HongKong, China? I don’t know. You’d have to contact Pinnacle directly to find that out. i am trying to decide if I should send CAKE or CREAM to my sister for her upcoming birthday. And I can’t find anyone who taste tested Pinacle vs schmirnoff (although as a 40 something adult I cannot believe I actually want to try these college age flavors!). Do you have any thoughts or suggestions for me?? I still have a preference for the Whipped Cream flavor. I have not tried Schmirnoff’s versions, but Pinnacle Whipped is pretty tasty. If you really want to go with the Cake flavor, then I recommend UV’s Cake–it tastes just a bit better, IMHO. Good luck! I love the cake vodka- i mixed it with yoplait chocolate banana smooothie and it was awesome! ( but alot of calories) im going to try it with diet sunkist tonight! Interesting combination… Thanks for the tip! Great idea! I came up with a similar combination in my review of UV Cake vodka. I love cake and the whipped. I had no idea it was this good for others.. I love mixing these drinks for my friends and they love it because they don’t even know how they got drunk lol they couldn’t taste the alcohol. I mixed usually 4 ice cubes I filled a medium size glass of sprite and poured 1shot into it and mixed. I used the cake vodka in strawberry creme pudding shots, turned out very yummy!